Stop looking, you found the sharpest tool in the shed! Annabelle’s Stay Sharp self-sharpening liners will keep beautistas on point and sharpeners away. Now available in 5 metallic shades. The liner revolution: now in metallic hues! Years ago, we were introduced to retractable liners, which rendered the use of a sharpener unnecessary. The downside? The tip quickly becomes round and dull. That’s where Annabelle steps in. Our Stay Sharp technology helps you keep your tips sharp for a precise application every time. The Stay Sharp secret is in the cap! The Annabelle Stay Sharp twist-on cap includes a sharpener. Every time you close the cap, the blades sharpen the tip to perfection and neatly hold onto the shavings. No fuss, no mess! 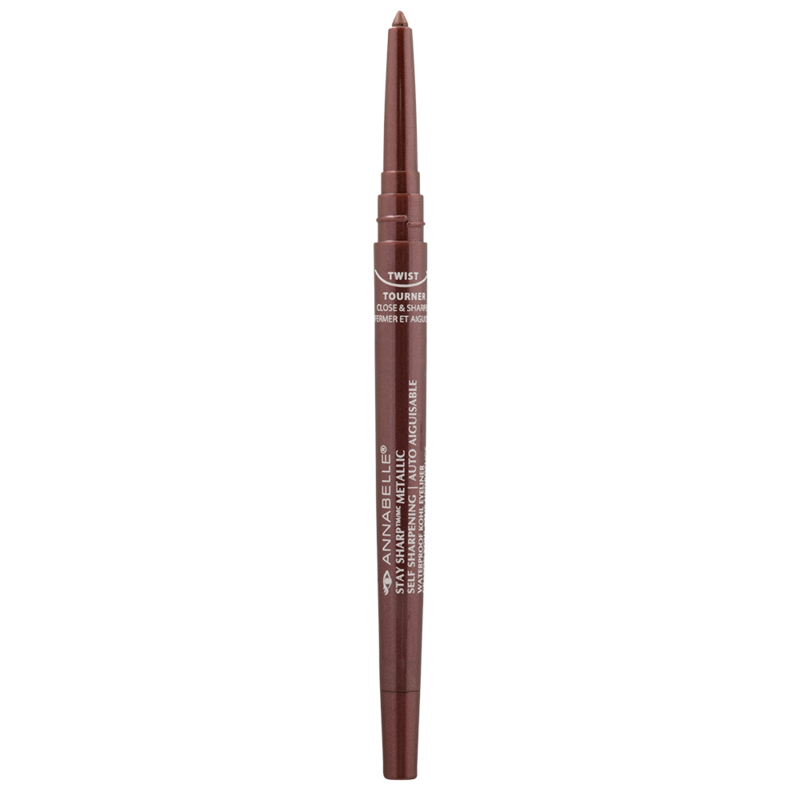 The best kohl eyeliner around!